Nigeria's army killed 27 members of Islamist terrorist group Boko Haram as part of efforts to regain control over the country's volatile north-east, the defence ministry said on Tuesday. Soldiers clashed with the insurgents in the Balmo, Lame and Hildi forests in Borno State, the ministry said in a statement, without specifying when the fighting took place. Six soldiers were injured during the clashes, it said. "Motorcycles, hundreds of rounds of ammunition and bows and arrows were recovered from the fleeing terrorists," according to the defence ministry. The ministry said it recently recaptured the towns of Mubi in Adamawa and Ashaka in Gombe states respectively, which had been under control of Boko Haram. 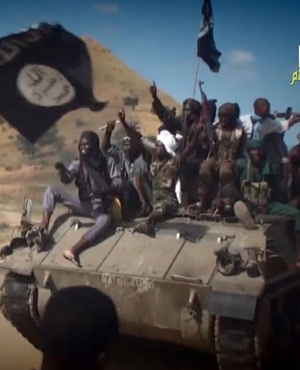 The terrorist group has been establishing its grip in north-eastern Nigeria in recent months, seizing the towns of Gwoza, Damask, Bama, Gamboru-Ngala, Dikwa, Mafa as well as some surrounding villages, all in Borno State. Boko Haram - which means "Western education is forbidden" - is blamed for the killing of more than 3 500 people in Nigeria's north this year alone. When Boko Haram first launched attacks in 2009, it mainly targeted Christians, as part of its campaign to establish an Islamic state. Since mid-2013, Boko Haram has focused its attacks on government security forces as well as on civilians of both Christian and Muslim faith in their homes, hospitals, markets and schools.